I don’t know about you but its crazy hot here this summer! Its a bit to hot for me to be comfortable but not for the berries in our back yard. 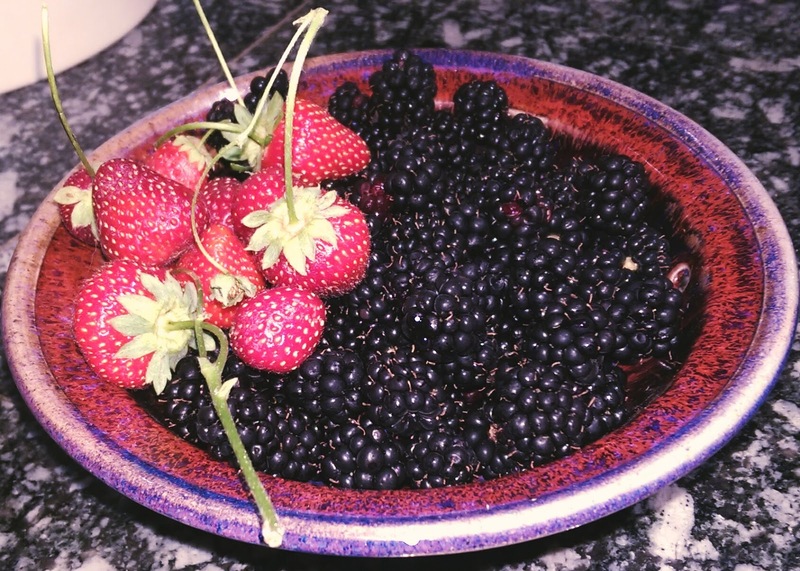 All of this heat is great for them.We have been blessed with a good amount of blackberries of late and even some blueberries and strawberries. I didn’t expect to have so many this late but I’m not complaining. So I was thinking about what to do with this blessed harvest. Then I thought “why not make a mixed berry cobbler”. So I did. And oh how delicious it was. Below is the recipe, I am also posting the recipe for the pie crust top in a different post. You will need both to make this recipe. The pie crust needs to be refrigerated for 4 hours or overnight so keep that in mind when planning for this recipe. roll out the pie crust into a rectangle about 1/8″ thick. Make sure the dough isn’t sticking to the surface too much. Now cut into strips about 1/2′ wide. Place 1/2 the strips across the top of the berries spaced evenly apart. Now take the remaining ones and place ontop going the other direction spaced evenly apart. You are making a lattice top with the strips. Bake on 425′ for 45 minutes or until the berries are bubbling and the crust is golden brown. Remove and let cool for at least 15 minutes before serving.